Here’s something for morning joe lovers to sip on. And if that’s not enough to get you perking in the morning, consider this: The Life is good donates 10 percent of its net profits. The company has raised $11 million for kids in need to date, principally through Life is good products, events and community fundraising efforts. In celebration of their new flavor, Life is good is providing consumers with the opportunity to win a custom coffee prize pack by encouraging them to strike their best coffee routine poses and post their pictures to Twitter and Instagram using #LifeisgoodCoffee. 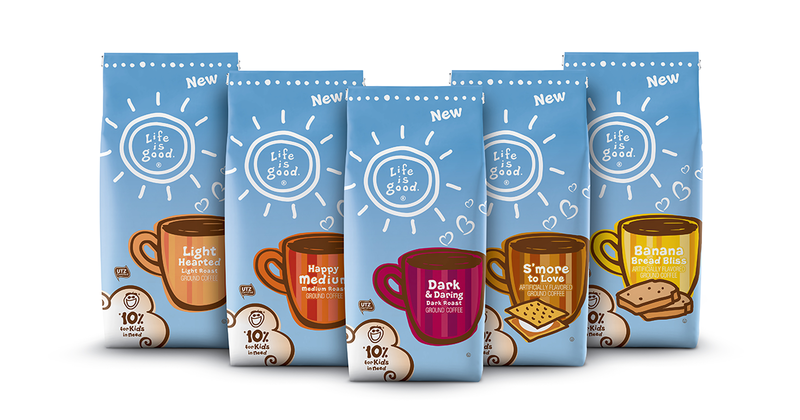 Life is good gourmet coffee retails for $7.99 for an 11-ounce bag and is available at grocery stores nationwide and at Lifeisgood.com. Follow Life is good on Twitter, Facebook and Instagram. Spread optimism with #DoWhatYouLike.